Activity –Any action or transaction of the Member pursuant to the Mabuhay Miles program. Activity Date - Flight Miles, the actual flight date and for non-flight Miles, the date of transaction except for credit cards and banks, which will follow the date the activity has been posted by Mabuhay Miles to the Member’s account. Airline Partner – An airline with which Philippine Airlines has entered into an arrangement to providing Members benefits such as but not limited to: earning or redeeming Miles and availment of selected tier privileges. Charter flight - A special non-published Philippine Airlines (PAL) or PAL Express flight contracted by a specific charterer. This is not eligible for mileage accrual and redemption. Fixed Review Period - a consecutive two-year period from January 1 of a current year to December 31 of the following year where accounts are assessed on whether Member is active or inactive. If Members does not have any valid activity within this period, his/her Miles shall expire on January 31 the year after the review period. The first review period started on January 2014 and ended on December 2015, and this shall continue two years thereafter. Flexiflyer Award Ticket – A Travel Award where the Member gets a higher booking code in exchange of a required number of Miles. Flight Award Ticket – A Travel Award granting a Member a ticket for use on PAL operated flights or Airline Partners. Flight Miles – A type of Redeemable Miles earned specifically from flight activities with PAL, PAL airline Code-Share partners or Airline Partners. Infant – A child below two (2) years of age. Legal Guardian - A parent or in the absence of the parent, the person authorized by the parent or by law to act as legal guardian. Mabuhay Lounge – A lounge located at the pre-departure area operated by PAL. Miles – A general term that refers to both Redeemable and Flight Miles. PAL - Philippine Airlines Inc.
PAL Code-Share service/flights - Services/flights sold by PAL or its affiliated channels (contact center, ticket offices, official website, travel agencies, third-party booking websites), with a document number 079, but operated by another carrier wherein Redeemable Miles may be earned. Qualifying flight/fare – A flight or fare that is eligible to earn Miles under the Mabuhay Miles program. Qualifying Period – A period used to determine eligibility for Tier level or entitlement for Upgrade Travel Certificates (UTC). This period covers from January 1 to December 31 of each year. Qualified Transaction – A qualifying flight, as well as qualifying activities made with program partners. Redeemable Miles – Miles earned through flight and non-flight activities which can be accumulated to redeem Travel Awards. Retro-active credit – A facility for the crediting of unreported Miles subject to certain conditions. Service class – Business Class, Premium Economy or Economy Class. Tier – A membership level under the Mabuhay Miles program higher than the Classic membership. Tier-based bonus Miles – Bonus Miles given to Elite, Premier Elite and Million Milers for each qualifying flight. Tier Miles – Miles earned through flight activities on PAL or PAL Code-Share flights. Tier Miles are used to compute for eligibility to Elite, Premier Elite and Million Miler membership. Flight Miles earned through Airline Partners do not add to the qualification of Elite-tier status. Transaction Record – Records that support crediting of Miles for a qualified transaction such as but not limited to: ticket, official receipts or voucher. Travel Award – The award granted under the Mabuhay Miles program upon redemption of Miles. Traveling Companion – A person traveling with the Member on the same flight. Valid Activity - any Mabuhay Miles-related activity that is considered as basis for retaining Miles after the fixed two-year review period. This is further stated in item 1 General Conditions, under Section IV. Earning Miles. VIP or Partner Airline Lounge - A lounge located at the pre-departure area managed by a third party or partner airline. 1. Mabuhay Miles is PAL’s frequent flyer program and loyalty Program. It is open to any person who is at least two (2) years old, provided that minors are represented by their parents or Legal Guardians. Infants are not qualified to enroll in Mabuhay Miles. 2. Families, corporations and/or judicial entities cannot be enrolled as a Member. 3. The enrollee binds himself to the terms and conditions of Mabuhay Miles by complying with the enrollment procedures or by quoting the membership number assigned upon enrollment. 4. The enrollee may acquire his membership number (temporary card) through the Via Mabuhay Miles website: www.mabuhaymiles.com. 5. The member will receive a membership card only upon reaching Elite, Premier Elite or Million Miler status. Classic members shall receive a membership card after their first valid activity. 6. Replacement of membership card due to loss, damage, and change of name may be made subject to the payment of a card replacement fee, except that card replacement shall be free of charge for Elite, Premier Elite and Million Milers. Lost cards may be assigned a new membership ID number. 7. For replacement of cards due to change of name, a written request must be submitted together with the supporting legal documents. 8. The enrollee should ensure that the name on the enrollment form matches the name reflected in his passport and other travel documents for the proper crediting of miles. 3. When personally identifiable information is provided, Member, by enrolling in the Program, agrees that Mabuhay Miles reserves the right, to send you bulletins, promotion and marketing e-mails or e-newsletters and other important information about the Mabuhay Miles Program and its partners. 4. Mabuhay Miles shall keep the Member’s information strictly confidential. However, it reserves the right to divulge such information (i) to cooperate fully with any official governmental investigation and/or (ii) to protect and enforce PAL proprietary and legal rights. 6. Each Mabuhay Miles Member hereby acknowledges and agrees that receipt of any personal information from the Member shall be considered fully received only once the same is processed and stored at the Mabuhay Miles located in the Philippines. For all intents and purposes, the location of all Membership information shall be the Philippines. 1.1. The Member may earn Flight Miles through qualifying flights on PAL and through Code-Share flights on Airline Partners. 1.2. The Member may likewise earn Redeemable Miles through Mabuhay Miles Program Partners and through other PAL initiated promotional activities. 1.3. All Miles shall not be subject to expiration provided that the Member continues to be an engaged frequent flyer member. In the event of continued inactivity for a period of two (2) consecutive years within a fixed review period, all Redeemable Miles shall be considered forfeited. The first review period shall be on the 1st of January, 2014 and will end on the 31st of December, 2015. Succeeding review periods shall be every two years thereafter. Any Miles flagged for expiration after a review period shall be deemed forfeited on the 31st of January of the succeeding year of the relevant review period. 1.4. A qualifying transaction can be credited only to the account of the Member whose membership details matches with the information appearing in the transaction record. 1.5. PAL may audit all accounts and reserves the right to adjust or change mileage credits in accordance with the terms and conditions of earning Miles, without prior notice. 1.6. Members are required to check or view their Mabuhay Miles accounts through the Mabuhay Miles website www.mabuhaymiles.com which shall constitute as sufficient notice of your account balance, validity of Miles, on-line activity statements, amendments to these Terms and Conditions and other updates. 1.7. Members are required to inform themselves on the continued applicability of earning Redeemable Miles on any Code-Share or Program Partner prior to availment. PAL or any of its Program Partners may opt to discontinue any agreement without prior notice to the Members. 1.8. In case of any discrepancy or dispute raised by the Member in the crediting of Redeemable Miles, PAL shall endeavor to reconcile the dispute. However, in the event that the claim cannot be validated by PAL, it shall be the responsibility of the Member to present the transaction documents including but not limited to tickets or itinerary receipts, boarding passes, official receipts or invoices to prove the claim. 2.1 For automatic crediting of Flight Miles, the Member must quote his/her membership number upon booking, ticketing, or check-in. 2.2 Members acknowledge in the auto-crediting of Flight Miles, there may be systems failures or unforeseeable events that may lead to non-crediting of Flight Miles. In such event, Members must avail of retro-crediting procedures. 2.3 A Qualified Flight can be credited only to the account of the member who used the qualified revenue ticket regardless of who paid for the ticket. 2.4 Flight Miles are computed in accordance with the formula established in PAL’s Flight Miles Accrual Table which is published at the Mabuhay Miles website www.mabuhaymiles.comThe Members are required to check the Flight Miles Accrual Table prior to any transaction as PAL, or Airline Partner may change the same from time to time without prior notice. 2.5 On PAL Code-Share flights, the ticket should reflect “PR” in the ticket carrier box. Refer to www.mabuhaymiles.com for an updated list of Code-Share partners. For latest information on tickets, which may or may not qualify to earn Flight Miles, please contact the Mabuhay Miles Service Center, PAL Reservations or Ticket Offices, or visitwww.mabuhaymiles.com. 3.1.1 For a Member to avail of Buy Miles, he must have at least 50% of the required Redeemable Miles for the intended Travel Award. 3.1.3. A maximum of 150,000 Miles may be credited to any single account within a calendar year. 3.1.4. Purchased Miles do not add to the qualification of Elite-tier status. 3.1.5. A Member can purchase a minimum of 1,000 Miles for a fee or at a fixed number of Miles as provided in the Mabuhay Miles Table of Fees. A processing fee and taxes per transaction, where applicable, shall be for the account of the Member. Mabuhay Miles shall publish the processing fee and applicable taxes at www.mabuhaymiles.com. 3.1.6 The Buy Miles transaction shall be final, cannot be reversed and any Fees paid shall be non-refundable. 3.1.7. The validity of the purchased Miles shall follow the mileage expiry rule as mentioned at Article IV, Section 1.3 under Earning Miles..
3.2.1. Member/Legal Guardian must accomplish and submit the Buy Miles Request Form , valid ID and payment to Mabuhay Miles Service Center or to any PAL Ticket Office. 4.1.1. The transferred Miles shall be added to another Member’s account and should be used for immediate redemption. 4.1.2. Maximum of 150,000 Miles may be transferred or received by any single account within a calendar year. 4.1.3. Member can transfer/receive a minimum of 1,000 Miles for a fee or at a fixed number of Miles as provided in the Mabuhay Miles Table of Fees. A processing fee and taxes per transaction, where applicable, shall be for the account of the Member. Mabuhay Miles shall publish the processing fee and applicable taxes at www.mabuhaymiles.com. 4.1.4. Transferred Miles do not add to the qualification of Elite-Tier status. 4.1.5. The Miles Transfer transaction shall be final, cannot be reversed and any Fees paid shall be non-refundable. 4.1.6. The validity of the transferred Miles shall follow the mileage expiry rule as mentioned at Article IV, Section 1.3 under Earning Miles..
4.2.1. The Member/ Legal Guardian must accomplish and submit the Miles Transfer Request Form , valid ID and payment to Mabuhay Miles Service Center or to any PAL Ticket Office. 5.1.2. Expired Miles of a Member can be reinstated for a fee in accordance with the published Table of Reinstatement of Expired Miles. A processing fee and taxes per transaction, where applicable, shall be for the account of the Member. Mabuhay Miles shall publish the Fees for the Reinstatement of Expired of Miles, the processing fee and applicable taxes at www.mabuhaymiles.com. Any fraction of Miles less than the fixed allowable number of Miles as provided in the Reinstatement of Expired Miles Table shall be charged the same amount where that fraction shall fall. 5.1.3. Reinstated Miles once expired shall no longer be eligible for another reinstatement. 5.1.4. Reinstated Miles do not add to the qualification of Elite-Tier Status. 5.1.5. The Reinstatement of Expired Miles transaction shall be final, cannot be reversed and any Fees paid shall be non-refundable. 5.1.6. The validity of the reinstated Miles shall follow the mileage expiry rule as mentioned at Article IV, Section 1.3 under Earning Miles..
5.2.1 The Member/Legal Guardian may request the reinstatement via email at mabuhaymiles@philippineairlines.com or send a written request to Mabuhay Miles for evaluation. Request must contain member’s name, membership number, contact details and a scanned or photocopy of valid ID of the Member/ Legal Guardian. 5.2.2. Member should proceed to Mabuhay Miles Service Center or any PAL ticket office for payment. 5.2.3. Member is requested to check for the status of the Reinstatement of Expired Miles by accessing his membership account at the www.mabuhaymiles.com or call the Mabuhay Miles Service Center or PAL Reservations two (2) working days after payment. 5.2.4 The Reinstatement of Expired Miles transaction shall be final, cannot be reversed and any Fees paid shall be non-refundable. 6.1.1. A Member may earn non-flight Miles through Program Partners upon enrolment and acceptance to the program. 6.1.2. A qualifying transaction and the corresponding Miles earned may vary among Program Partners and are subject to change without prior notice. 6.1.3. If two or more persons are sharing the same product or service, the Miles shall be credited to the Member whose name appears in the transaction receipt. 6.1.4. Non-flight Miles earned through Program Partners do not add to the qualification of elite-tier status. 6.1.5. All points earned from Program Partners once converted to Redeemable Miles shall be subject to the Mabuhay Miles Terms and Conditions and it is understood that the latter shall govern in case of conflict with the Program Partners’ terms and conditions. 6.1.6. Any dispute arising out of or in connection with the product, service or event for which earned or redeemed Miles were applied to shall be the sole liability of the relevant Program Partner. 6.2.1. For crediting of non-flight Miles, the Member must quote the membership number upon reservations/ booking and upon availing of Program Partners’ product/s or service/s. 6.2.2. The Member must retain the Program Partners’ transaction receipt until the non-flight Miles are reflected in his Mabuhay Miles account. 6.2.3. For information on the latest list of Program Partners, visit the www.mabuhaymiles.com or contact Mabuhay Miles. 6.2.4. For particulars on qualifying transactions, the Member must contact the Program Partners directly. 7.1. Member may earn points from a co-brand credit card which may be converted to non-flight Miles. 7.2. To earn Miles, the Member must use the co-brand credit card, subject to the terms and restrictions as may also be provided by the co-brand credit card. 7.3. The conversion rate and certain terms and restrictions may vary among co-brand credit card partners. It is the obligation of the Member to check with the co-brand credit card on the applicable conversion rates which may vary from to time to time. 7.4. Members with existing Mabuhay Miles account must declare their membership ID number upon application for a co-brand credit card to properly credit the Miles. 7.5. The co-brand credit card may require that a minimum number of points are earned before the same may be converted to non-flight Miles. It is the obligation of the Member to check with the co-brand credit card on the applicable minimum number of points for conversion which may vary from to time to time. 7.6. Transfer or conversion of points into non-flight Miles is not automatic and must be initiated by the Member in coordination with the co-brand credit card partner. 7.7. Points earned by supplementary cardholders of the co-brand credit card shall accrue to the account of the primary cardholder. 7.8. Inquiries regarding co-brand credit card related transactions should be referred to the co-brand credit card partners directly. 1.1.1. For newly enrolled Members, Qualifying Flights taken three (3) months prior to the enrollment date. This shall not apply to flights taken by an Infant with or without seat. 1.1.2. The Member availing of a Qualifying Flight is re-routed on another flight operated by PAL or to other airlines due to flight disruption or cancellation. The earning of Miles will be based on the mileage of original route and the original class of service. 1.1.3. The Member availing of a non-qualifying flight is endorsed by another airline on a PAL operated flight and such endorsement results to a Qualifying Flight. The earning of Miles will be based on the flown flight sector and class of service on PAL. 1.1.4. If for one reason or another, Miles are not reflected on the account of the Member, the Member may request for retroactive crediting of missing Miles. 1.1.5. It is the obligation of the Member to monitor or check that a Qualifying Flight is reflected in his account by logging on to his account online (via www.mabuhaymiles.com) or contacting Mabuhay Miles. The Member has twelve (12) months from the date of the flight to submit a request for retroactive crediting of missing Miles. 1.1.6. Member should allow at least six (6) weeks processing time. 1.2.1.1. Online by logging into your account via the Mabuhay Miles website www.mabuhaymiles.com and provide the flight details. 1.2.2. For PAL Express operated flights (not under PAL Code-Share service/flights), and other codeshare flights operated by Code-Share partners, Members may request for retroactive crediting of Miles by submitting a copy of the ticket or the itinerary receipt and the boarding pass to Mabuhay Miles Service Center or any PAL Ticket Office. 2.1.1. Member shall request the retro-active crediting within six (6) months from the Activity Date. 2.1.2. Member should allow at least six (6) weeks processing time. 2.2.1. Members may request retroactive crediting of Miles by requesting the Program Partner directly and comply with their requirements. Travel Award may be in the form of a Flight Award Ticket, Flexiflyer Award Ticket. 1.1. PAL is the only entity authorized to issue Travel Awards on PAL flights. Travel Awards issued by any other entities shall not be honored. 1.2. A Member/Legal Guardian may claim a Travel Award at the Mabuhay Miles Service Center or any PAL Ticket Office or PAL reservations. 1.3. Members redeeming a Flight Award Ticket or FlexiFlyer Award Ticket to be used on a PAL flight must be requested via Mabuhay Miles Service Center, PAL reservations or Ticket Offices. Flight Award Ticket or FlexiFlyer Award Ticket issuance and voluntary changes shall only be processed by PAL. 1.4. The Member may redeem Travel Awards using the earned Miles from his account. The Member may request that the Travel Award be issued in the name of the Member or his beneficiaries. Redemption in favor of a child or Infant shall be subject to PAL and government policies and requirements for carriage of minors. 1.5. Members may redeem a Flight Award Ticket or a Flexiflyer Award Ticket in favor of an Infant as beneficiary provided the Miles required for redemption must be equivalent to an adult Flight Award Ticket. 1.6. Prior to redemption of a Travel Award in favor of a beneficiary who is required to be accompanied by a Traveling Companion, the Traveling Companion’s ticket must be in the same class of service with the beneficiary and should already be issued. 1.7. The use of Travel Awards shall only be allowed on regular scheduled flights of PAL subject to availability of designated seats and may vary among destinations, flight numbers, travel dates and travel seasons. PAL may limit the number of award seats on certain flights. Confirmation of award seats is subject to availability at the time of reservation. Travel Awards shall only be issued based on a confirmed booking. 1.8. Travel Award must be redeemed at least 10 calendar days prior to flight departure to avoid payment of Rush Processing Fee. (Rush Processing Fee is further explained under Article VI, Section 6). 1.9. The Member/Beneficiary shall pay applicable taxes, fees, charges, penalties, and/or surcharges before a Travel Award can be issued or re-issued. The Member / Beneficiary shall be responsible for all other taxes, fees or charges to be paid at the airport. 1.10. PAL shall issue Travel Award tickets as an electronic ticket (e-ticket) and shall collect additional charges for reprinting of Travel Award ticket. 1.11. PAL reserves the right to revoke, cancel or forfeit Travel Awards redeemed or issued in violation of the Mabuhay Miles Terms and Conditions and PAL’s General Conditions of Carriage. a. Miles shall be re-deposited to the account where the Miles came from, free-of-charge, in the event that passenger decides not to rebook the ticket. b. In case ticket is not rebooked by the passenger, applicable taxes and surcharges shall be refundable, except for administrative fees of services already rendered. c. Passenger may not be endorsed to other airlines, except only with respect to a Flight Award Ticket which can be endorsed to PAL Express operated flights and provided that space and other circumstances permit such re-accommodation. In case of flight cancellation attributable to the carrier and a Member decides to have the Travel Award rebooked, additional charges shall be waived if the Member wants to take the next available flight subject to available space or within thirty (30) days provided the Travel Award is still valid. Any rebooking beyond the thirty (30) day period (provided the Travel Award is still valid) shall be subject to the applicable taxes, fees, charges and rebooking policies. In case of flight cancellation due to force majeure, safety and/ or security reasons, the Member shall only be entitled to a free-of-charge redeposit of Miles to the account where the Miles came from and reimbursement of taxes and surcharges, except administrative fees of services already rendered. 1.13. In case of Terminal Delay of at least three (3) hours after the estimated time of departure, a Member may be entitled to compensation and amenities under the PPBR. The rule in the immediately preceding paragraphs (paragraph 1.13) shall also apply in case of Terminal Delay of at least three (3) hours with respect to refundability, rebookability and endorsability of Travel Award. 1.14. Travel Awards shall be governed by the Mabuhay Miles Terms and Conditions and to the extent not in conflict with the foregoing, carriage, and other related services performed by PAL are subject to PAL’s Conditions of Contract and the General Conditions of Carriage and the Tariff Regulations as approved by government authorities which are incorporated by reference and made part hereof. 2.1. Flight Award Ticket shall mean all kinds of award tickets whether domestic or international and whether redeemed in favor of the Member or beneficiary. 2.2. Domestic and International Flight Award Tickets may either be one-way or round-trip. For International Flight Award Tickets, multi-cities are accepted, provided that if travel route is from a point in the United States of America (US) to another US point the passenger must stop in the Philippines for at least seventy-two (72) hours or more prior to continuing the trip to another US destination. 2.3. The Flight Award ticket must be redeemed at least ten (10) calendar days prior to flight date to avoid payment of Rush Processing Fees but no later than six (6) hours prior to flight departure. 2.4. Booking class codes A, N and G shall be used for Flight Award Tickets on Business, Premium Economy and Economy Classes respectively. The following booking class codes shall be used where the said classes of services are available for redemption. 2.5. Member must have the PAL Flight Award Ticket issued within the Ticketing Time Limit specified by PAL without prejudice on the applicability of Rush Processing Fee. Failure to claim the Flight Award Ticket within the stated period may result in the automatic cancellation of the confirmed flight booking. 2.6. The validity of Flight Award Tickets shall be valid for one year from date of issuance, unless otherwise specified on the PAL Flight Award Ticket. Travel must be completed within the validity period. Mabuhay Miles may, from to time, introduce Flight Award Tickets on promotional basis, which shall be subject to additional or special restrictions. 2.7. Validity of Flight Award Tickets may not be extended. 2.8. PAL Domestic and International Flight Award Tickets issued, reissued or revalidated in the Philippines the booking of which is not cancelled four (4) and twenty-four (24) hours respectively, prior to the date of departure shall be revalidated, re-issued or re-deposited only upon payment of a No Show Fee / Non-User’s Fee (NUF) provided under PAL’s Tariff and other applicable fees, taxes or charges. Flight Award Tickets may be revalidated or re-issued anytime, but still within the award ticket validity. 2.9 Flight Award Tickets are non-reroutable except in case of flight disruption or cancellation and only on routes operated by PAL or PAL Express. c. A Japan destination may be re-routed to another Japan destination except Fukuoka. f. A United Arab Emirates destination may be re-routed to another United Arab Emirates destination. d. The original destination should have the same mileage redemption value with the new destination. e. Ticket must still be valid. 2.10. Flight Award Tickets shall not earn Miles regardless of its redemption value or composition. 2.11. Flight Award Tickets cannot be used in conjunction with any other promotion, offer, SCU or Upgrade Travel Certificate, and complimentary upgrades. 2.12. Flight Award Tickets can only be issued in favor of a person beneficiary and not to an item, thing, instruments or animals that shall occupy a seat. Flight Award Tickets cannot be used for services that require a higher booking class, such as the need to purchase an entire row to accommodate a stretcher passenger or to purchase an extra seat for a single passenger. 2.13. Member / Beneficiary may opt to use the Flight Award Ticket on standby for flights departing on the same day of the original confirmed booking provided the Member/ Beneficiary shall pay the applicable No Show/Non Users’ Fee. 2.14. Flight Award Tickets may be rebooked and revalidated or re-issued subject to the applicable rebooking fees, taxes and surcharges, provided the Flight Award Ticket is still valid and there is no change in the passenger’s name, origin, destination, routing, and the class of service. In case of rebooking and reissuance, the difference due to any subsequent increase in taxes, fees or surcharges shall be collected. Million Milers shall be exempted from the rebooking charge. A Member can only have a maximum of two (2) re-bookings, revalidation or re-issuance. A Member may only avail of the “Redeposit of Miles” feature for transactions beyond the allowed number of re-bookings, revalidation or re-issuance subject to the payment of Redeposit Fee as published at the www.mabuhaymiles.com. 2.15 Flight Award Tickets shall have the same free baggage allowance as that of revenue tickets. A Flexiflyer Award Ticket is a Travel Award designed to allow a Member to redeem a Travel Award ticket based on a higher booking class code. 3.1. The Flexiflyer Award Ticket is available in Economy Class with higher booking class codes: T/V/L (Domestic), and T/B/M (Regional or International). The Flexiflyer Award Ticket is now available in Business Class D for both Domestic, Regional, and International. 3.2. The Miles required to redeem a Flexiflyer Award Ticket shall be fifty percent (50%) more than the regular redemption value. 3.3. A Member may also redeem a Flexiflyer Award Ticket in favor of an Infant subject to the provisions provided above and provided further that the condition as to the adult traveling companion is also complied. 3.4. The terms and conditions applicable to the Flight Award Ticket shall likewise apply to a Flexiflyer Award Ticket. 5.1.1. Member must call Mabuhay Miles Service Center or PAL Reservations for booking of his Flight Award ticket. A confirmed flight booking and sufficient number of Miles is required before a Flight Award can be processed. 5.1.2. The Member/Legal Guardian must accomplish and sign a Travel Award Redemption Form (TARF), which can be downloaded at www.mabuhaymiles.com and is also available at Mabuhay Miles Service Center or any PAL Ticket Office. • One (1) valid ID with photo and signature of the Member/Legal Guardian. • If the passenger is traveling on an international flight, the original passport of the passenger should also be presented. • If the Travel Award will be claimed by a representative other than the Member, or Legal Guardian, such representative, who is duly authorized under the TARF must present a valid ID with photo and signature when claiming the Travel Award. • For SCU, the Booking reference / record locator of the PAL issued revenue ticket, qualified to earn Miles. 5.2 In claiming Travel Awards, Member has an option to redeem Over-the-Phone via the Mabuhay Miles Service Center or PAL Reservations call center. SCU may also be redeemed upon check-in at the airport. Members calling from the Philippines/ Australia/ Canada may now have their Travel Awards over-the-phone by using their own credit cards when they call Mabuhay Miles Service Center or PAL reservations at (632) 855-8888 (Manila), (032) 340-0191 (Cebu), or 1-800-737-725 (Australia) or 1-800-435-9725 (Canada) respectively. • Member’s credit card must exactly match the name and other verifiable information on his Mabuhay Miles profile. • Applicable to all PAL Domestic and International flights originating from Manila. For members calling from Canada and Australia at 1-800-435-9725 and 1-800-737-725 respectively, applicable taxes shall also be assessed accordingly, subject to the conditions on the collection of taxes of issuing country. • For Flight Award Tickets claimed over-the-phone, the credit card of the Member used upon original issuance must be used for rebooking and payment. • For Flight Award Tickets claimed via the Mabuhay Miles Service Center or PAL Ticket Offices, the credit card of any of the traveling party may be used for rebooking and payment. • Member as the passenger using his own Miles or Member with the traveling party using his own Miles. • Only SCU with a confirmed booking on booking class code A shall be accepted for processing. • Member from whom the Miles shall be deducted must be the one to call to request. • Member must have sufficient Redeemable Miles at time of transaction. • Member must use his own credit card if a Rush Processing Fee is applicable. • For SCU requests that are waitlisted at time of request, Member must forward to Mabuhay Miles Service Center or PAL Ticket Offices the requirements as mentioned at Article VI. Section 5.1.3 under Travel Award Redemption. • SCU request shall be applied to passengers originating Manila and traveling to Los Angeles, San Francisco, Honolulu, New York, Vancouver and Toronto. Passengers who are originating from other PAL or PAL Express routes and with a continued journey to our transpacific routes may request SCU upon arrival at Manila airport thru check-in counters where check-in agent may process. • SCU request shall be applied only to passengers who have not yet checked-in via web / mobile. • Passenger is required to pay same day Rush Processing Fee pursuant to Article VI, Section 6. A Rush Processing Fee shall be collected for a Flight Award Ticket issued less than ten (10) calendar days prior to flight departure and for SCU redemption submitted less than ten (10) calendar days prior to flight departure. SCU redemption shall be considered submitted and Flight Award Ticket redemption shall be considered for issuance only on the date when all the required documents are presented to Mabuhay Miles Service Center or PAL. Mabuhay Miles shall publish the Rush Processing Fee and taxes if applicable at www.mabuhaymiles.com. It is the obligation of the member to check the applicable Rush Processing Fee and taxes prior to redemption, as the same is subject to change without prior notice and is non-refundable. 7.1. Members may cancel the Travel Award and request for a Redeposit of the Miles used. Redeposit of Miles may be effected for completely unused or partially used Travel Awards provided the cancellation is made within the validity date of the Travel Award. 7.2. The re-deposited Miles shall be reflected in the account after at least six (6) weeks from request of cancellation of the Miles, provided that the member has simultaneously filed for refund of taxes, if applicable. Standard refund of taxes handling procedures shall apply. 7.3. Taxes, fees and charges shall be refunded outright for cancellations made on the same day the Flight Award Ticket was issued. Otherwise, applicable refund procedures shall govern. Mabuhay Miles fees and service charges are non-refundable. For Flight Award Tickets issued involving U.S. sectors (including Guam and Hawaii), Members shall be allowed to cancel the Flight Award Ticket and have the Miles re-deposited without penalty, and receive a one hundred (100%) refund on the taxes, fees, and charges, provided that the Flight Award Ticket is cancelled within twenty four (24) hours of redemption, and further, the redemption is made one (1) week or more prior to the scheduled flight departure. Applicable refund procedures shall govern. The Member may request for a refund of the government taxes including insurance and fuel surcharge. No refund shall be allowed if filed beyond thirty (30) days from the expiration of the validity of the PAL Flight Award Ticket. 7.4. If a Travel Award is no longer eligible for redeposit of Miles, the Member may request for a refund of the government taxes including insurance and fuel surcharge. 7.5. Mabuhay Miles shall publish the Redeposit Fee and applicable taxes at the www.mabuhaymiles.com that shall be charged for this transaction. The Redeposit Fee is subject to change without prior notice and is non-refundable. 7.5. Redeposited Miles shall be governed by the Mileage Expiry rule in accordance with Article IV Section 1.3. 1.2. The Legal Guardian should submit a request to Mabuhay Miles to be the registered Legal Guardian in the account of the Member. 1.3. Proof of Relationship or guardianship is required for PAL to recognize an individual as the Legal Guardian of a Member. 1.4. All transactions involving the account of a Member who is a minor shall be under the authority and with the consent of the Legal Guardian. However, upon reaching legal age or the age of 18, the Member shall automatically acquire exclusive authority over the Mabuhay Miles account. 1.1. Mabuhay Miles shall determine the Member’s tier status. Any change in the tier status shall be effected automatically upon qualification of the Member. A Member shall receive a new membership card. 1.2. The Elite and Premier Elite tier qualification period is between January 1 and December 31 of each current year. The Member must meet the requirements outlined below for every qualification period. Any Miles earned during a particular qualification period cannot be considered for tier eligibility in a different qualification period. b. Sector qualification: 30 one-way Qualifying Flights on any class of service or 15 one-way qualifying Flights on Business Class. b. Sector qualification: 50 one-way Qualifying Flights on any class of service or 25 one-way Qualifying Flights on Business Class. a. Member who reaches one million (1,000,000) cumulative Tier Miles from his date of enrollment is granted the Million Miler status, which entitles him to lifetime Premier Elite privileges. b. For Members who were enrolled at the time when a different formula was applied in the computation of Tier Miles, the total accumulated Tier Miles computed based on that formula was automatically carried over and added to the current total Tier Miles based on the current program’s formula for purposes of determining Million Miler status. 1.4. The Member who meets the above qualifications shall be granted the corresponding Elite or Premier Elite privileges automatically upon qualification. The Tier status shall be valid until the end of the second month following the next qualification period. 2.1 The Member who attains Elite or Premier Elite status shall receive the following privileges on PAL or PAL Express operated flights. Tier-based Bonus Miles are awarded to Elite and Premier Elite Members for each Qualifying Flight, in addition to the Service Class Bonus Miles. Such tier-based Bonus Miles will be reflected in their Mabuhay Miles account and are added to their Redeemable Miles. Tier-based Bonus Miles shall not be counted in determining the Members tier status and the same shall follow the rule on validity of Miles. 2.1.2.1.1. The Member shall earn two (2) UTCs upon accruing 45,000 Tier Miles within the qualifying period (1 January to 31 December of the current year). He shall receive two (2) UTCs for each additional 25,000 Tier Miles accrued within the same period. 2.1.2.1.2. A Million Miler shall receive four (4) complimentary UTCs annually. In addition, he shall also earn UTCs under item 2.1.2.1.1. 2.1.2.1.3. Promotional tickets including tickets under certain booking class codes shall not be eligible for upgrade against a UTC. Mabuhay Miles reserves the right to change the booking class codes from time to time without prior notice. It is, therefore, the obligation of the Member to check for updates on the published non-eligible booking class codes. A ticket upgraded using a UTC may earn Miles based on the qualifying ticket’s original class of service. 2.1.2.1.4. A Member / Beneficiary who is accompanied by a traveling companion may only use the UTC if the traveling companion is also holding a business class or premium economy ticket or an upgraded ticket. 2.1.2.1.5. UTCs cannot be combined with other upgrades from UTCs, SCU awards or Special Airport Concession (SAC) authority or due to involuntary upgrade. 2.1.2.1.6. UTCs have no cash value (non-convertible to cash). 2.1.2.1.7. A UTC is an accountable form hence lost, stolen, or expired UTCs shall not be replaced, re-issued or extended. Tampered or mutilated UTCs shall not be honored for usage and shall not be replaced or re-issued. 2.1.2.2.1. The Member and/or beneficiary are required to call PAL Reservations or visit Mabuhay Miles Service Center or PAL Ticket Offices to have their names listed on the flight they intend to take. 2.1.2.2.2. A Premier Elite Member may have his/her upgrade (based on UTC) confirmed three (3) days prior his flight departure, subject to seat availability. The upgrade for beneficiaries, regardless of tier status, can be confirmed one (1) day prior to flight departure, subject to availability of seat. A Million Miler may have his/her upgrade (based on UTC) confirmed on the next class of service upon issuance of his/her eligible economy class revenue ticket. UTCs booked and confirmed other than thru Mabuhay Miles Service Center, PAL Reservations or Ticket Offices shall not be honored. PAL does not guarantee specific seat requests and the loading of special meals for passengers using UTCs. A Premier Elite member awarded with a UTC and was later downgraded to Elite at time of usage shall no longer be entitled to avail of the upgrade confirmation three (3) days prior his/her flight departure. 2.1.2.2.3. For a Member or Beneficiary who does not call Mabuhay Miles Service Center, PAL Reservations or Ticket Offices, upgrade shall be confirmed at the airport on a first-come, first-served basis, subject to availability of seats. 2.1.2.2.4. The original UTC duly signed by the awarded Member must be surrendered upon check-in otherwise the passenger or beneficiary shall be denied the requested upgrade. a. Original UTC, duly signed by the Member awarded with the UTC (UTC grantee). 2.1.2.2.6. A Member with a confirmed UTC at point of reservations shall not be allowed to exchange the reservation with other upgrades such as: SCU and Special Airport Concession (SAC) authority or be eligible for involuntary upgrade. 2.1.2.2.7 Upon confirmation of UTC Member/ beneficiary shall be accorded the applicable privileges of a full fare revenue premium economy or business class ticket, particularly: priority check-in, free baggage allowance, lounge access, priority boarding and priority baggage handling. • Available only during the regular operating hours of the lounge. • Applicable only when traveling on PAL and PAL Express operated flights. • Only the Premier Elite Member shall be entitled to one (1) additional guest who must be a Traveling Companion. The Million Miler Member is entitled to two (2) additional guests who must be Traveling Companions. • When traveling on Code-Share flights of other airlines eligible to earn Miles, provided the Member is holding a PAL ticket. • Access to the Code-Share Partner Airline Lounge (CPAL) shall be subject to the policies of such lounge which may change from time to time. Some CPAL accepts only Million Milers (without Traveling Companion) while others may allow Premier Elite members (without traveling companion). PAL does not guarantee lounge access of Million Milers and Premier Elite Members to the said CPAL. • It is understood that access to the lounge is a mere privilege and as such PAL or any CPAL has the right to terminate the lounge access agreement, even without prior notice to the Members. Similarly, Mabuhay Lounge access may not be available at a certain time and such access shall always be subject to the lounge’s maximum seating capacity. Only for the following sports: golf, bowling, scuba diving, sportsfishing, tennis, badminton and cycling. *The piece, dimension and weight requirement under PAL or PAL Express’s General Conditions of Carriage shall also apply to the extra FBA in relation to the class of service and route availed by the Member. For information on the applicable number of piece, dimension and weight of baggage please refer to www.philippineairlines.com. In excess of the allowed extra FBA, the member shall be charged the applicable excess baggage fees. The baggage of other passengers cannot be pooled under the extra FBA privilege. The FBA and the additional FBA entitlement of the Elite-tier Member may be used to accommodate the excess weight of his sports equipment. This rule shall only apply to destinations using the weight system. ** The following conditions for sports equipment shall apply to the carriage of the extra sports equipment. Any weight in excess of the baggage allowance for sports equipment shall be charged the applicable excess baggage rates. Liability for damage or loss of the sports equipment carried as checked baggage shall be subject to the Limits of Liability under the Conditions of Carriage of PAL or PAL Express. The baggage or sports equipment of other passengers cannot be pooled. The baggage benefit for sports equipment cannot be used to accommodate the other baggage of the Million Miler that exceeds the free baggage allowance (FBA) or the additional FBA entitlement of the Million Miler. The FBA and the additional FBA entitlement of the Million Miler may be used to accommodate the excess weight of the sports equipment. This rule shall only apply to destinations using the weight system. Sports equipment must be checked in at least one and a half hours before flight departure. Bicycles, however, should be checked-in three hours before flight departure. Failure to comply with this requirement, PAL may deny carriage of the sports equipment. The sports equipment baggage benefit cannot be combined with other promotions involving carriage of baggage that may be offered by PAL from time to time. PAL reserves the right to accommodate a maximum number of sports equipment per flight. For this purpose, Million Milers are required to notify PAL Reservations at least 24 hours before departure for confirmation of reservations and weight of equipment (especially when traveling as a group). 1.1 Mabuhay Miles reserves the right to enter into arrangements with Airline Partners. Arrangements with Airline Partners may be changed or terminated from time to time and without prior notice to Members. 1.2 Mabuhay Miles does not guarantee the participation of Airline Partners in the Mabuhay Miles program and the availability of Airline Partners’ flights eligible to earn Miles and/or for Flight Award Redemption. 1.3 Mabuhay Miles shall not be held responsible for changes in various conditions and irregularities including, but not limited to, denied boarding, cancellation and delays of flights eligible to earn Miles and/or flight awards by Airline Partners and Airline Partner’s withdrawal from Mabuhay Miles program. 1.4 It is the sole duty and responsibility of the passenger to complete all travel documents required when travelling Airline Partners’ operated flights. 2.2 To ensure crediting of Flight Miles, the Member must quote his membership number upon booking, ticketing, and check-in. Miles shall be credited in accordance with the terms and conditions of arrangements with Airline Partners. 2.3 Members may claim for retro-active crediting of Miles by submitting a copy of the ticket(s) and boarding pass(es) in accordance with the terms and conditions of arrangements with Airline Partners from flight date. Miles not requested for retroactive crediting in accordance with the terms and conditions of arrangements with Airline Partners from flight date shall thereafter be deemed forfeited. 2.4 Request for retro-active crediting online via www.mabuhaymiles.com is not applicable. 2.5 Once credited and validated to the Mabuhay Miles account, said Miles cannot be reverted. 2.6 Award flights on Airline Partners will not earn miles. 2.8 PAL reserves the right to revoke, cancel or forfeit Travel Awards redeemed or issued in violation of the Mabuhay Miles Terms and Conditions and Airline Partners’ General Conditions of Carriage. 3.1 Flight Award Tickets may either be one-way or round-trip. 3.2 Mabuhay Miles members may contact Mabuhay Miles Service Center, PAL reservations or visit PAL Ticket Offices to redeem and claim their Flight Award Tickets. Refer to Article VI. Section 5 under Travel Award Redemption. 3.3 All applicable taxes, surcharges and Mabuhay Miles processing fees shall be collected from the Member or Beneficiary. 3.4 Redemption on certain service classes, Flexiflyer Awards are not permitted. 3.5 Flight Award tickets (or any changes) shall be governed by Mabuhay Miles Terms and Conditions. Member shall pay applicable taxes, fees, charges, penalties, and/or surcharges. 3.6 Flight Award tickets cannot be used in conjunction with any other promotion, offer, or Upgrade Travel Certificate, and complimentary upgrades. 3.7 Combination of PR and Airline Partners’ award segments in one (1) booking / Flight Award Ticket is not allowed. 3.8 The same award redemption values shall apply to adult, child and/ or infant with seat. 3.9 Flight Award Tickets shall be governed by Mabuhay Miles Terms and Conditions. 3.10 Carriage and other related services performed by Airline Partner are subject to Airline Partner’s conditions of Contract and the General Conditions of Carriage. 4.1 Members shall be accorded selected privileges when traveling on Airline Partner’s flights, as long as Elite-tier membership cards are presented upon airport check-in. Presentation of expired Elite-tier membership cards shall not be honored. Mabuhay Miles shall publish the corresponding privileges at the www.mabuhaymiles.com . 5.1 All the terms and conditions governing arrangements with Airline Partners shall be incorporated herein by reference. It is the Member’s sole and primary duty and responsibility to check the Mabuhay Miles terms and conditions from time to time regarding Airline Partner arrangements. 5.2 For easy reference and guidance Member can refer to applicable Annexes containing the terms and conditions governing arrangements with Airline Partners. Annexes shall be an integral part of the Mabuhay Miles terms and conditions. 1. It is the responsibility of the Member to advise Mabuhay Miles of any change in name and contact details. 2. Member is required to register at www.mabuhaymiles.com to be able to access or update their Mabuhay Miles account online. 3. Email communications may be sent to certain members from time to time regarding program updates, advertisements, promotions and/or offers from Mabuhay Miles, PAL and Partners. 4. Any communications, notices and amendments to the Mabuhay Miles Terms and Conditions shall be considered served if sent to the Member’s declared email address as reflected in his Mabuhay Miles account. The Member shall be bound to the contact details declared in his account unless changes are duly communicated to Mabuhay Miles in accordance with Article XI Section 5 hereof. 1. PAL reserves the right to change the structure, benefits, privileges and other features, including the Terms and Conditions, or to terminate the Mabuhay Miles frequent flyer program at any time upon prior notice. Mabuhay Miles shall inform the Members in accordance with the provisions of Article IX for any material changes to Mabuhay Miles and/or to these Terms and Conditions. Notices of such changes posted or published in communications under Article X. All changes shall be deemed effective and binding to all Members on the date of posting at the Mabuhay Miles website. Without prejudice to the immediately preceding paragraph, any request for mileage accrual, award redemption and availing of other benefits and/or privileges under the Mabuhay Miles Program, by a Member, subsequent to any amendment or changes to the Terms and Conditions of the Program shall be conclusive evidence of his acceptance and/or ratification of the changes. It is the responsibility of the Members to check the Mabuhay Miles website or their online account for any updates or changes and PAL shall not be liable for any loss or damage to the Members / Beneficiaries resulting from the Member’s failure to check any updates or amendments to Mabuhay Miles or these Terms and Conditions prior to any transaction. 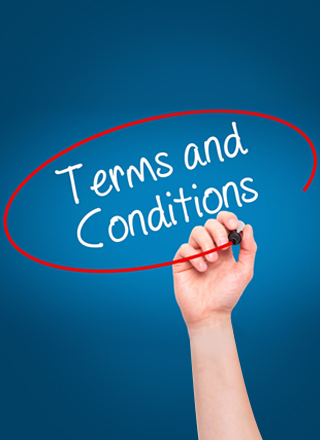 No person, employee, personnel and agents may modify any of the provisions of this Terms and Conditions, unless authorized by PAL. Any representation, remarks or communications that are contradictory or inconsistent with this Terms and Conditions, in relation to the Mabuhay Miles Program shall be without effect. In case of conflict between a representation or communication or any terms and conditions printed elsewhere, the Terms and Conditions shall govern and prevail. 2. PAL reserves the right to deny, suspend or terminate membership at any time at PAL’s sole discretion in accordance with the Mabuhay Miles Terms and Conditions. 3. The sale, purchase, barter or any arrangement for a consideration for the transfer or use of Miles and Travel Awards including other benefits and/or privileges is prohibited. A violation of this provision subjects the Member to liability for the value of the benefit and/or privilege involved and such act shall be considered fraud in violation of the privilege of being a Mabuhay Miles member. 4. PAL reserves the right to audit all Membership accounts and consequently amend, correct and modify the same at any time even without prior notice to ensure that it is in accordance with the Mabuhay Miles Terms and Conditions. 5. Complaints, concerns, disputes ensuing from Mabuhay Miles email advisories and/or confirmation emails concerning matters involving miles activity, maintenance, such as but not limited to, miles redemption, deductions, conversions, and the like, must be raised by the Member within seventy-two (72) hours from date of the email. As such, it is the Members sole and primary responsibility to regularly check his email for such confirmation emails and/or email advisories. All other complaints, concerns or disputes involving the account of a Member must first be raised by the Member in writing with PAL or the Mabuhay Miles. Such complaint, concern or dispute must be made within one (1) year from the time it occurred. Failure to comply with the above periods and condition precedent shall be a bar to any action in any judicial, quasi-judicial, or administrative bodies. Filing of dispute before any judicial, quasi-judicial, or administrative bodies without resolving it first with PAL or Mabuhay Miles shall be considered a violation of the privilege of being a Member in good standing and shall be a cause for termination of membership, cancellation of Travel Awards and forfeiture of any earned Miles. 6. Mabuhay Miles membership is a mere privilege hence, a violation of the Mabuhay Miles Terms and Conditions, PAL or Airline Partner’s General Conditions of Carriage, PAL Airline Partner’s reservation, ticketing, airport, in-flight policies and procedures including but not limited to misconduct, fraud, misrepresentation, misuse of awards, abusive behavior and/or any other acts or omissions not consistent with the integrity, loyalty, commitment and the privilege to be part of the Mabuhay Miles organization shall be grounds for the immediate termination of the Mabuhay Miles membership, cancellation of award tickets and forfeiture of all outstanding Miles at the time of termination. 7. A Member shall be given an administrative notice for any violation of the Mabuhay Miles Terms and Conditions. The administrative notice shall deemed properly served if sent through the email address reflected in the Mabuhay Miles account of the Member. The Member shall have fifteen (15) days from date the notice is served to file an answer to the administrative charges attaching thereto documentary and other evidence to support his position. Failure to answer within the required period shall be considered as an admission of the administrative charges and waiver of the right to answer. Upon receipt of the answer or expiration of the 15-day period, the matter shall be deemed submitted for decision. An administrative committee shall thereafter render a decision based on available evidence which decision shall be final and immediately executory. The account of any Member who has a pending administrative investigation shall be suspended until the matter is resolved. Such suspension shall have the effect of suspending the benefits/privileges under the Mabuhay Miles program including but not limited to the accrual or redemption of Miles and usage of Travel Awards, UTCs and tier privileges. If the administrative matter is resolved in favor of the Member, Miles which were not credited during the suspension may be retro-credited and Miles other benefits/privileges which expired during the suspension shall be re-instated/extended. The Member must apply for retroactive crediting of Miles within six (6) months from the lifting of the suspension. Expired Miles or other benefits/privileges shall be automatically re-instated and its validity shall be extended for another six (6) months from the lifting of the suspension. If the administrative matter is resolved against the Member, the effects of the suspension shall form part of the penalty against the Member. If the penalty imposed is mere suspension, the period of suspension already served shall be deducted from the period of the suspension imposed as a penalty. 8. The decision of the Mabuhay Miles administrative committee and the penalty imposed as consequence thereof shall be without prejudice to any civil or criminal action that may be filed against the Member or Beneficiary. Members who are terminated shall not be allowed to re-enroll for another Mabuhay Miles account and if for some reason or another, a re-enrollment is made, even if already activated Mabuhay Miles reserves the right to immediately terminate the same and forfeit all earned Miles without prior notice upon discovery and confirmation of such facts. Terminated Members may re-enroll after two (2) years not through the usual modes of application but through a written application addressed to Mabuhay Miles subject to evaluation without any guarantee of admittance. 9. In case of a Member’s death, his account will be closed and all outstanding Miles will be forfeited. 10. PAL reserves the right to change and/or terminate any of its Code-Share or arrangements with Partners, without prior notice. PAL assumes no liability for these changes. 11. The Member may terminate his membership at any given time. To do so, he must submit a written advisory to Mabuhay Miles. Membership shall be terminated within fourteen (14) days of receipt of notice and the Member’s account shall be closed. No further activity shall be permitted with respect to these closed accounts. In the event the Member enrolls for a new account, Miles and privileges earned under said terminated account shall not be credited/ redeemed or applied in the new account. 12. The purchase of a PAL or Airline Partner ticket does not automatically entitle the passenger to mileage accrual. The accumulation of Miles is a mere privilege based on loyalty and open only to Members of good standing and as such no vested right shall accrue with respect to the crediting of Miles. 13. Member agrees to release, defend, indemnify, and hold free and harmless PAL or Airline Partners, its directors, officers, employees and agents from and against any and all claims, suits, actions or proceedings, costs and expenses including attorney’s fees, for damages, losses, injuries, deaths, accidents or delays which may be filed, charged or adjusted against PAL / Airline Partners or any of its directors, officers, employees or agents on account of, arising from or in any way connected with, any act or omission, misconduct, fault or negligence of Member in the performance or non-performance of their obligations under the Terms and Conditions of the Mabuhay Miles Program. 14. These Terms & Conditions shall be governed by and are construed in accordance with the laws of the Republic of the Philippines. Any proceeding filed against PAL involving Mabuhay Miles, must be instituted in the proper courts of Pasay City, Philippines, to the exclusion of all other venues of actions or proceedings. PAL’s Reciprocal Frequent Flyer Program with Etihad Airways is effective from 10 July 2014 to 09 July 2019, unless earlier terminated by either or both by PAL and/or Etihad. II. Members may claim for retro-active crediting of Miles by submitting a copy of the ticket(s) and boarding pass(es) in accordance with the terms and conditions of arrangements with Airline Partners from flight date. Miles not requested for retroactive crediting within six (6) months from flight date shall thereafter be deemed forfeited. IV. Members shall have the following Elite-tier privileges, as long as Elite-tier membership cards are presented upon check-in. Presentation of expired Elite-tier membership cards shall not be honored. *Mabuhay Miles Million Miler and Premier Elite members (regardless of the ticket's cabin class) are eligible to access EY-owned and operated lounges only, including Al Reem Lounge (EY contracted) in Abu Dhabi Airport. Likewise, Etihad Guest Platinum and Gold members (regardless of ticket's cabin class) are eligible to access PR-owned Mabuhay Lounges only. 1. All the terms and conditions governing arrangements with Etihad Airways shall be incorporated herein by reference. It is the Member’s sole and primary duty and responsibility to check the Mabuhay Miles terms and conditions from time to time regarding Etihad Airways arrangements. PAL’s Reciprocal Frequent Flyer Program with All Nippon Airways is effective from 01 April 2014 to 31 October 2019, unless earlier terminated by either or both by PAL and/or All Nippon Airways. IV. Members shall have the following Premier Elite/Million Miler privileges, as long as Premier Elite/Million Miler membership cards are presented upon check-in. Presentation of expired Premier Elite/Million Miler membership cards shall not be honored. 1. All the terms and conditions governing arrangements with All Nippon Airways shall be incorporated herein by reference. It is the Member’s sole and primary duty and responsibility to check the Mabuhay Miles terms and conditions from time to time regarding All Nippon Airways arrangements. V. Incorporation by Reference 1. All the terms and conditions governing arrangements with Etihad Airways shall be incorporated herein by reference. It is the Member’s sole and primary duty and responsibility to check the Mabuhay Miles terms and conditions from time to time regarding Etihad Airways arrangements.